Every iPhone is a good Phone but I Phone X means a lot more. We have been waiting for this phone a long time. Now Apple says it’s a reimaging and a lot of new features like Apple get rid of a Home button and also a finger sensor and OLED screen planted first time in Apple phones. Design: The iPhone X is the design champ here, with that edge-to-edge screen and lack of a home button. The iPhone 8 and 8 Plus is much more familiar. 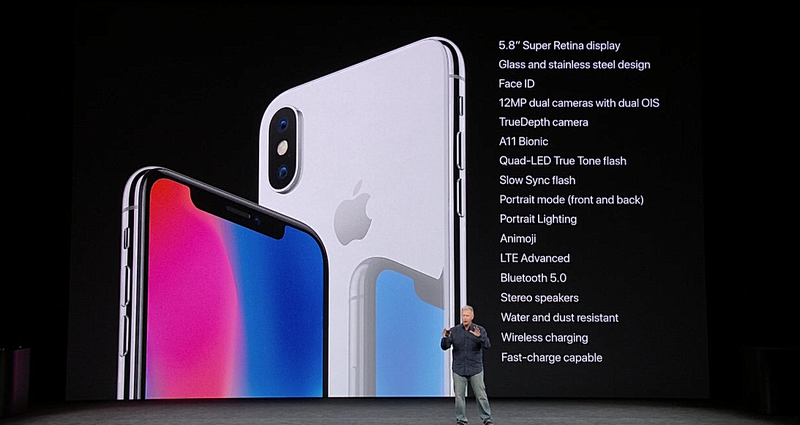 All the phones are IP67 rated, have glass backs for wireless charging and no headphone jack. Specs: The new 10nm A11 chip powers both phones, though RAM has yet to be determined. The iPhone X gets the new OLED display, while the 8 and 8 Plus have to stick with IPS LCD. Customer concerns: Price, So much costly, $1000 so much for I phone X. Don’t u think Apple is digging your pocket for $1000? Competitors have a same display size phones and almost same features but much lower prices. Concerns about display: Some people disappointed with the display size. If you are paying $1000 for 1 phone and display is not much bigger so videos and pictures are in smaller sizes in I phone X because of its cut out bars. Threat: Some features are not as good as other in iPhone X like Display not much bright if you compare I phone X with Samsung Galaxy Note 8. I Phone X has 625 nits and Samsung galaxy note 8 has 1240 nits. Hope Apple will address this issue in its next model. Weakness: Not everyone is comfortable with face detection unlock feature in Apple. Phone X has a face ID its good but not so much convenient because you have to always watch your phone to Unlock in better light conditions. The main thing is IOS 11. Yes, you can update your previous devices like I Phone 5s to I Phone 7 plus. You can feel the heat off I phone X with the help of operating system then why so spend $1000 to by I Phone X for some features. Think about it. Back glass is also a drop- X in my view. Accidentally if you drop you I Phone X there is a lot of chances to starch Your I Phone X back and front. Everything in I Phone X revolves around gestures. You have to learn how to deal with this machine. New User feels so much uncomfortable while using this machine. I Phone X has 2716mAh battery,. If You are a Phone addictive then I Phone X is not made for you. There are a lot of other Phones in the market having a better and big battery for the user to spend more time and enjoy. First time Apple uses OLED Screen in I phone X. it’s a one of the major change in this field. I Phone X infinite display feature. As we all know Apple launch its three flagships in September 2017 so I Phone X is a more eye-catching machine because of it’s a lot of new features. This phone is designed to use as a portrait. I Phone use a11 bionic chip. It’s so fast. Phone not a curved phone like Samsung and other manufacturers. It’s a stainless steel border with glass cover on its backside. It’s a unique feature that Apple added the first time. Let’s talk about I Phone Camera. The secondary camera comes with 7MP with HDR, face dictation and panorama. I Phone X is so vibrant in colors. Its much better east to read texts. First of all, if u don’t want to use face ID You can use Password. But it looks good if u watch your phone and its unlocked every time. Face Id use 30000 dots to ensure that it’s your face and send it to A11 chip very fast and Unlocked it. There is also a lot of new changes In IOS 11 like control center and notification view. Opportunity: I Phone X has a 2716 mAh battery. It means it’s not enough for those who are phone addictive. They can enhance the battery life for phone additives. What fashion means to females? The iPhone 8 starts £/$699 for the smaller model for 64GB and £/$849 for the 256GB model.